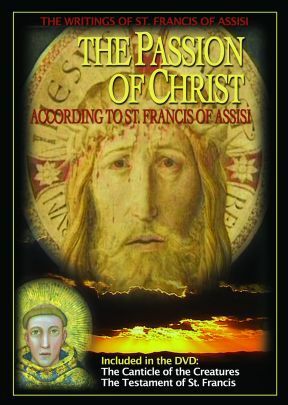 The Passion of Christ: St. Francis chose and elaborated several Bible verses to help his companions better understand Christ’s suffering. This text is illustrated by Pietro Lorenzetti’s 14th century fresco cycle (found in the Lower Basilica of the Basilica of St. Francis), by Assisi’s traditional Good Friday Procession, and by various places in and around Assisi. The Canticle of the Creatures: "The Canticle of the Creatures" is considered one of the most ancient texts in Italian literature, written at a time when Latin was slowly becoming Italian. However, it is the beauty of this magnificent hymn that astounds, arising out of St. Francis' mystical vision inviting all creation to praise its Creator. Calling the elements "Brother" and "Sister," Francis embraces all of creation as members of one family, perfectly reflecting Christian spirituality. 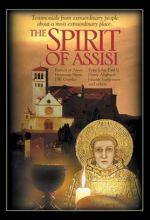 The Testament of St. Francis: The last will of the saint is the work of a man who, in his final days, was anxious about the future of his order and wanted to state his position one more time as forcefully as possible. In this writing, St. Francis strove to explain to his friars the spirit of the Franciscan vocation, so that throughout the centuries they would have no doubts as to how to imitate him in his following of the poor Crucified Christ. This DVD has an English, Spanish, Italian and German language track.